For thousands of years, evidence of life after death has eluded mankind. Science is about to change that. 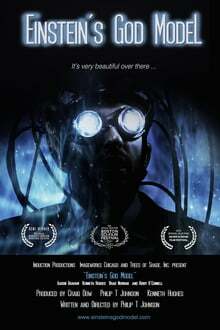 With the help of a physicist, a blind medium, and Thomas Edison’s final experiment, Brayden Taylor embarks on a quest to contact his deceased fiancee. For his love to transcend dimensions, he must defy the laws of quantum physics. He must defy the balance nature demands. He must defy … Einstein’s God Model.